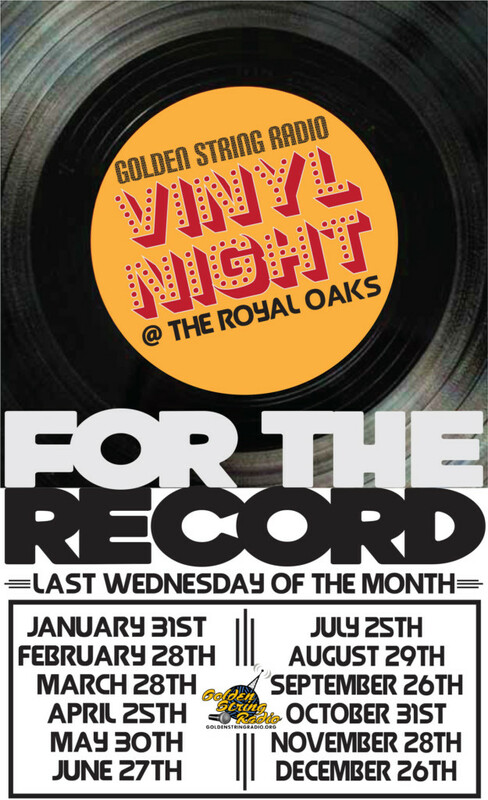 Golden String Radio Vinyl Happy Hour at The Royal Oaks is so much fun, but it’s just once a month. 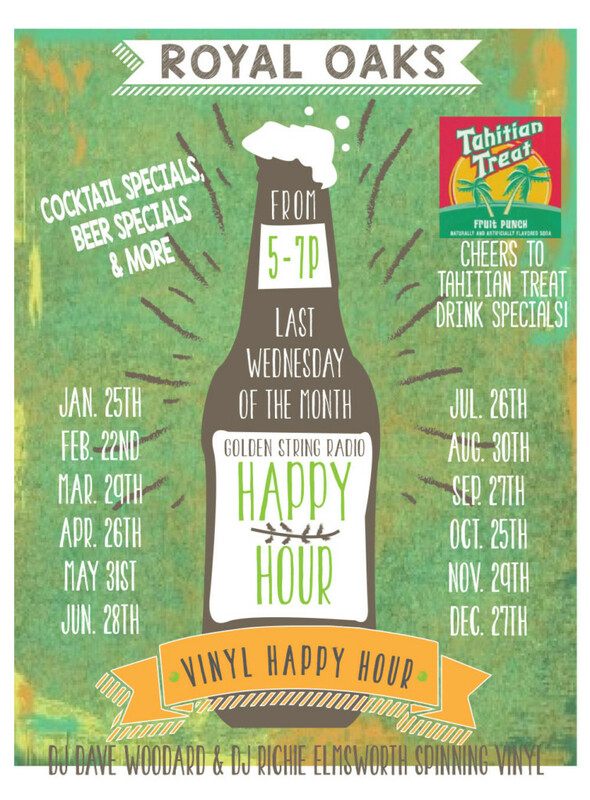 Now you can kick it with Golden String Radio two nights. 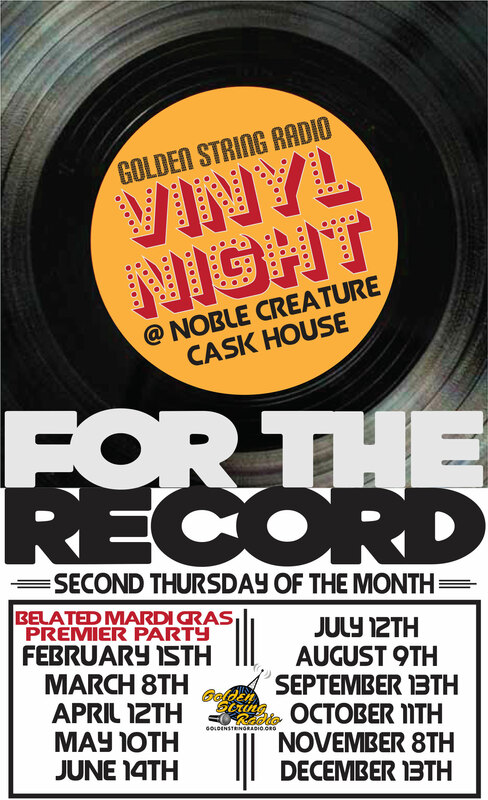 We added Noble Creature Cask House… every second Thursday of each month. It starts on Thursday, February 15. Come take in the sounds, sights and flavor—a great combination when you’re hanging out with friends and drinking delicious beer brewed on premises… mmmmmm. Head to Noble Creature after school or work and enjoy handpicked tunes by DJs Richard Elmsworth, David Woodard and Jimmy Sutman while sipping on fine craft brews. Do you like trivia and prizes? We have both! Jimmy will MC his way to your hearts and musical brains while giving you a chance to win great stuff (not Great Stuff, the expanding foam).